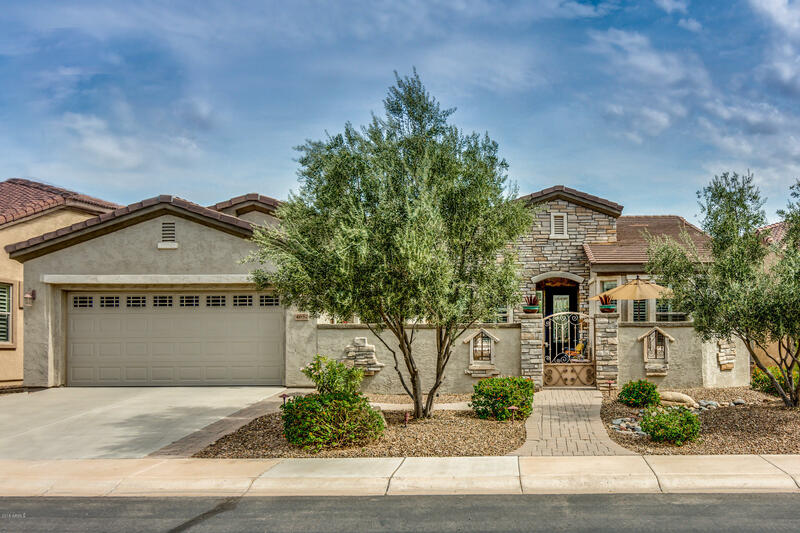 PRIDE OF OWNERSHIP SHOWS THROUGHOUT THIS GENTLY LIVED IN HOME AT TRILOGY IN POWER RANCH. A LOVELY COURTYARD WILL WELCOME YOU TO THIS OPEN FLOOR PLAN WITH TILE FLOORS AND PLANTATION SHUTTERS THROUGHOUT. THE KITCHEN OFFERS A FUNCTIONAL DESIGN WITH GRANITE COUNTER TOPS, PLENTY OF CABINET SPACE AND A BREAKFAST NOOK. THE MASTER BEDROOM FEATURES A FULL BATHROOM WITH SEPARATE TUB AND SHOWER, DUAL SINKS AND A WALK-IN CLOSET. A COVERED PATIO AND LANDSCAPED BACKYARD WITH PRIVACY WALL AND FENCING COMPLEMENT THE INTERIOR LIVING SPACE OF THIS CHARMING HOME. AN OVER SIZED TWO CAR GARAGE IS PERFECT FOR A GOLF CART, VEHICLES AND STORAGE. THE COMMUNITY AMENITIES INCLUDE SWIMMING POOLS, TENNIS COURTS, A GYM, CLUBHOUSE, ACTIVITIES AND MORE!